To shop for card, giclees, canvas giclees, art prints printed directly on metal and more esoteric items of fine art for sale by the artist visit the C Ribet Zenfolio Online Art Gallery and be sure when you visit to check out the fine art coupon codes and fine art discount codes currently available before you finalize your order for C Ribet artwork. There are special timed fine art discount codes and fine art promo codes for discounts run only for a limited time duration. These special discount codes offer special rates on items from fine art prints and canvas prints to blank greeting cards. Stop by to review the limited time fine art coupon promotional codes which may be special for the day, week or month only. C Ribet fine art discount codes also may apply specifically to unique packages of artwork such as frameless metallic paper wrapped wall art coupons or aluminum metal prints. GalleryCalifornia.com showcases the artwork of C Ribet with a new focus on open editions - available through a new online art gallery at Zenfolio.com for C Ribet artwork newly available in a wide variety of print products previously inaccessible. This site (GalleryCalifornia.com) is a plain vanilla website with no ecommerce capability - all of that is now done through the Zenfolio gallery. The purchase process take place through Zenfolio, but the presentation is mixed between this - the GalleryCalifornia.com website - and the Zenfolio pages linked to and displayed live and accessible here. 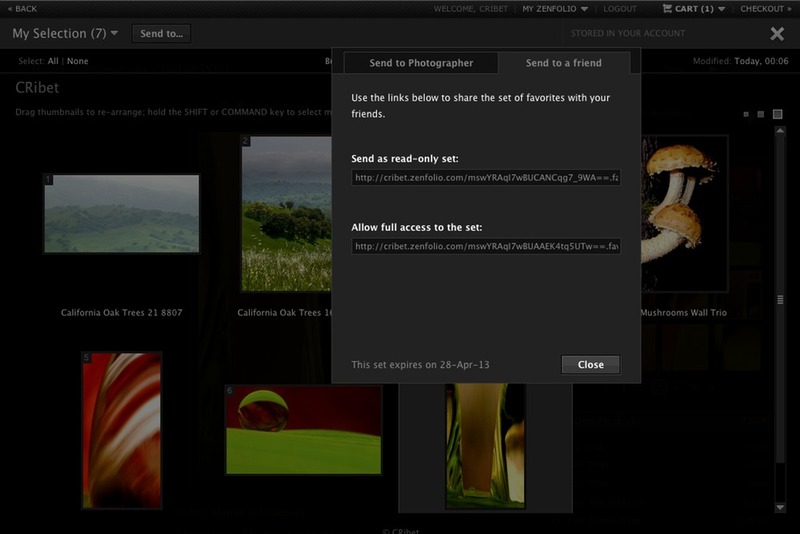 Purchasing from C Ribet (GalleryCalifornia.com) is through the ecommerce engine and printing services of Zenfolio. 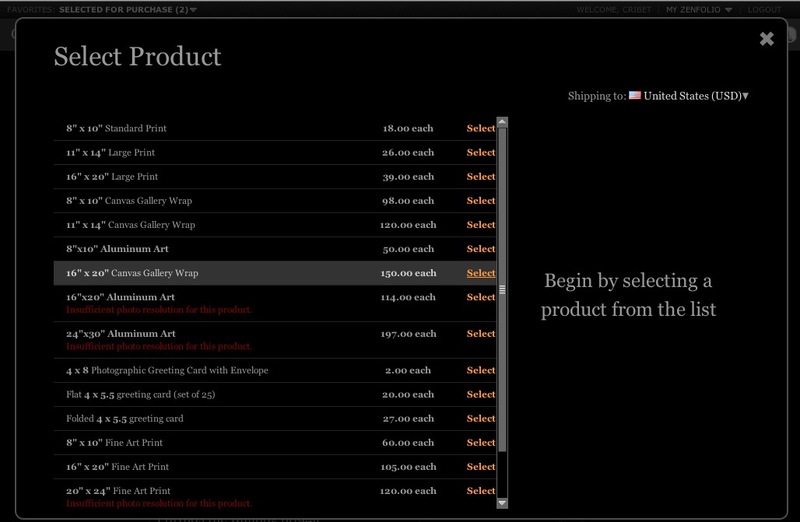 When you visit the Zenfolio online gallery, before you finalize any purchases, visit the C Ribet Fine Art Coupon and Promotional Codes page to see if there may be applicable coupons or special discounts on art in your cart (or discounts on your entire order and special offers such as free shipping). All around the GalleryCalifornia.com website, there will be links to the C Ribet Zenfolio online gallery (like that one) as well as embedded viewports into the live Zenfolio gallery so that you do not leave GalleryCalifornia.com if you choose not to do so. I hope that this makes things easier and not harder! If it does not work for you, just right click on pretty much any link to or within the Zenfolio gallery and choose to open the link in a new Tab or a new Window. The most simple opportunity to begin the process of thinking of purchasing an item can start at the details page for any image (you can also purchase from Favorites Sets) or from Gallery thumbnail sets or Collection thumbnail sets. The single image details page (with thumbnail gallery browser) is the most likeliy location from which you will select an image to add to a Favorites Set or which you wish to purchase as a print, canvas print, etc. 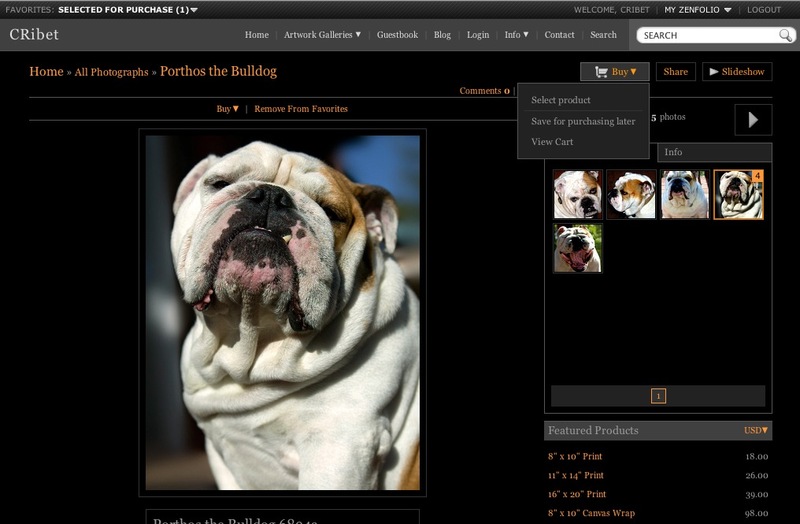 If you hover over the 'Buy' button you will find that it is not really a 'Buy' button, but it gives you the option to save the image to the 'SELECTED FOR PURCHASE' Favorites Set as well as purchase options. That Favorites Set is like any other, but with the predefined name, into which all images selected in the manner are placed. Thus far we have only been considering images and using the Favorites Sets to organize images we are thinking of purchasing or which we want to share with others before looking at purchasing. 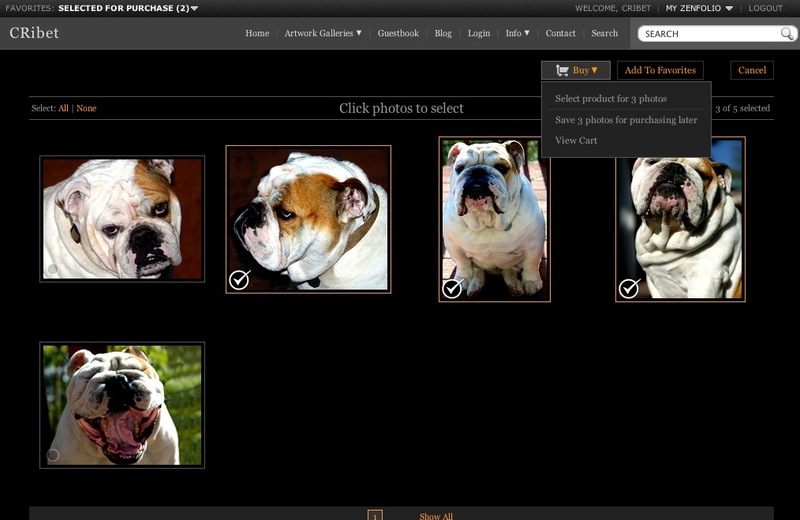 The next step is to select a product to associate with the image(s) you would like to consider for purchase. The commencement of this process begins in the simplest way at a page like this for a single image when you choose 'Select Product' from the 'Buy' pulldown menu or choose a product from the 'Featured Products' list at the bottom right side of the page. Remember as well before you finalize any purchases, visit the C Ribet Fine Art Coupon and Promotional Codes page to see if there may be applicable coupons or special discounts on art in your cart (or discounts on your entire order and special offers such as free shipping). 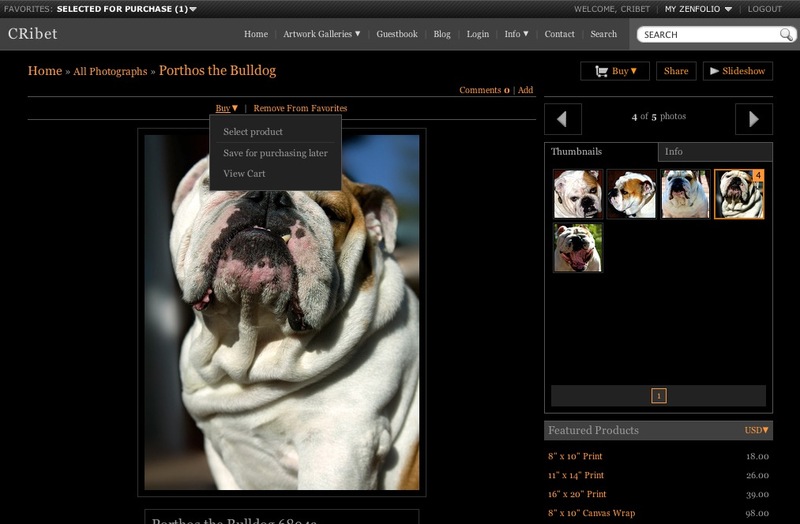 We are going to purchase a Framed Print of Porthos using the online custom framing tool. Clicking the 'Add to Cart' button gives us the option to 'Preview and Configure' which allows us to perform actions such as our own cropping, custom framing and matting with the online framing tool, customization of greeting cards etc. Click once to open the small dialog for 'Mount and Frame' and start the framing and matting tool. The options for Paper Type are the same as we saw already (color, metallic, black and white). We selected 'Color' before and that is reflected in the Paper Type menu overlay text. 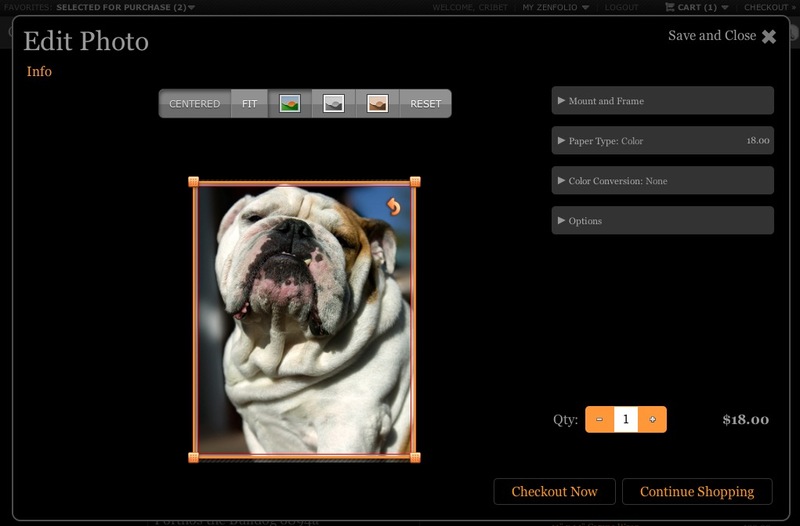 For prints of animals and furry critters like Porthos, the default E-Surface color paper is usually best. However, for C Ribet Dewscapes / Mizzlescapes the Metallic Paper prints often are very dramatic and have a unique 3D enhancement from the Metallic Paper print process. 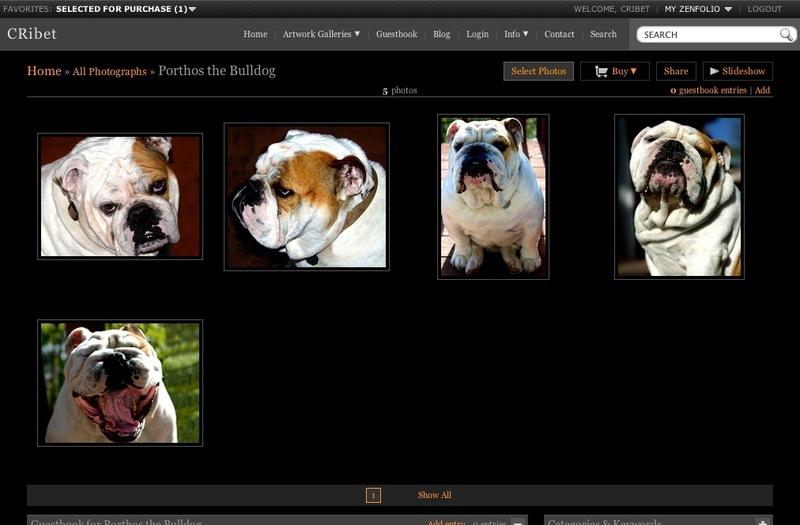 Color Conversion is to convert to Black and White or Sepia (the buttons on top of the image also do the same thing). The generic 'Options' menu text give you options for paper coating or texturizing. Do not forget to check the C Ribet Fine Art Coupon and Promotional Codes page to see if there may be applicable coupons or special discounts on art in your cart (or discounts on your entire order and special offers such as free shipping). There is no requirement to order framing online, as you can always simply purchase a print and arrange framing yourself. Indeed, the online tool for custom framing and matting may seem complex, but it sure can be easier than finding a reputable (and affordable) framing shop, bringing your print to the shop, and going through the process in reality instead of virtually. Using the online framing tool gives a huge cost savings over framing with a brick and mortar frame shop of similar quality. However, obviously, if you prefer to use a local framer, you can simply purchase the print and have them carry out the work. Why Online Framing other than Cost and Convenience? If you purchase a Zenfolio Print having it custom framed at Zenfolio gives you piece of mind that your print will not be damaged during the framing process and will certainly save you time as it takes not much longer for Zenfolio to process a framed print in most cases vs. just sending the print itself. Most custom framing shops have long wait times.